Naval Air Weapons Station China Lake Federally-Listed Bird Species Assessment - Noreas Inc.
NOREAS was retained to assess federally-listed bird species at Naval Air Weapons Station China Lake. 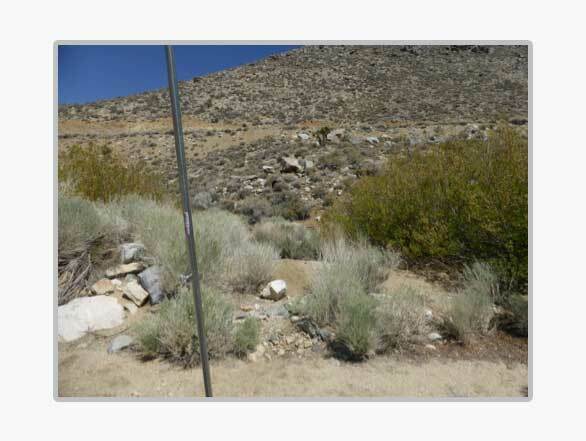 Contracted by Naval Facilities Engineering Command Southwest (NAVFAC SW), NOREAS led the collection of baseline information and supported the monitoring of federally-listed bird populations and avian use of riparian habitats within a discrete portion of Naval Air Weapons Station China Lake, Ridgecrest, California (NAWS). A total of 382 birds were captured with mist nests, representing 33 species. An additional 12 species were observed, but not captured at the banding station. 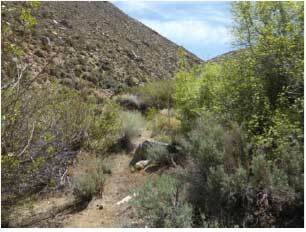 The banding station was established in a riparian corridor in the Argus Range, Inyo County, on NAWS. The banding station allowed for the monitoring of resident Inyo California Towhees (Melozone crissalis eremophilus), a federally-threatened species, and migrating Willow Flycatchers (Empidonax traillii) of unknown race but potentially the southwestern race (E. t. extimus), also a federally-endangered species. Several Inyo California Towhees and Willow Flycatchers were captured during 2014, and this data will aid in monitoring populations of these listed species on NAWS over time.